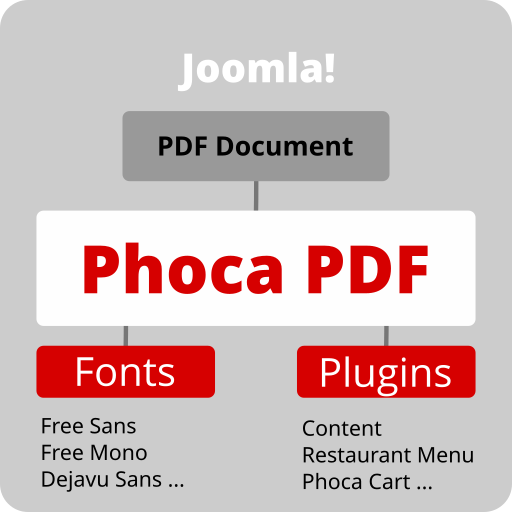 Phoca PDF font is a part of Phoca PDF framework, which is a component for Joomla!. There is one font included in Phoca PDF component but you can install other Phoca PDF fonts (fonts contain large files so they are not included in basic Phoca PDF component installation package). Fonts are TCPDF fonts, so a lot of different font types can be installed in Phoca PDF. See Phoca PDF site for getting more information.